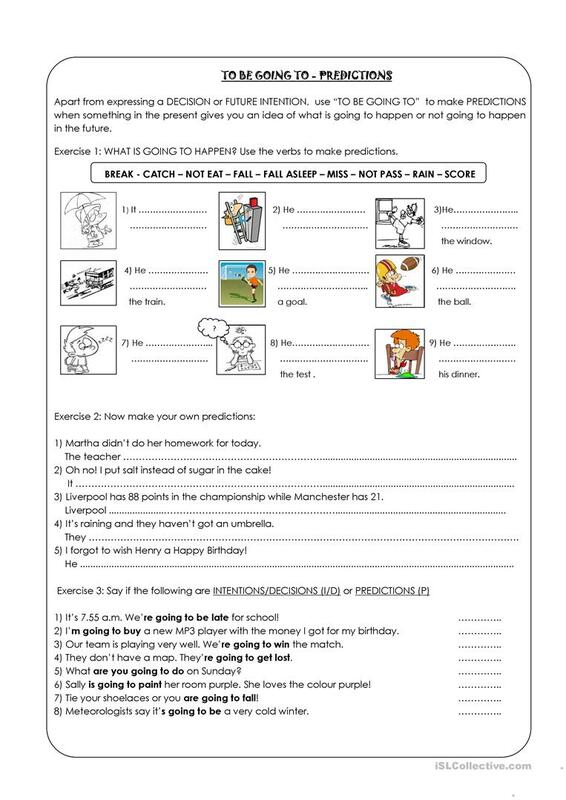 3 Exercises on "to be going to" used for predictions. The above downloadable teaching material was created for high school students at Pre-intermediate (A2) level. It is aimed at consolidating Future tenses in English, and is useful for strengthening your class' Reading and Writing skills.